Last Sunday, with the help of Linde and Rich from the “lost art of simple living”, we began our weekly “Tell Us Your Story” feature. Mary and I were overwhelmed by the response we received by people reading loving their story and wanting to hear more like it. We have decided to make it a weekly Sunday release – and already have several farms from all over globe lined up for the coming weeks! To follow along, you can simply enter your email address on the right of our blog and click “follow” to be added. I am Dan Soulsby. I was born and raised in Northeast Ohio and graduated from Kent State in 1999. I headed for the bright lights and moved to Los Angeles and a job at Disney Studios where I cast animated movies and TV series. Everyone always asked about working for Disney and I’d say on my worst day, I’m still watching cartoons. Among the high rise buildings and Hollywood parties I dreamed of something much less glamorous, a small farm where I could start a family and grow. Most people dream the other way around I think. While in LA, I read every book on growing and farming I could find and kept container gardens on my balcony. In 2007, Disney got rid of thousands of jobs and I was one of them. I sold my condo in Burbank and bought an old farm in Hudson, Ohio from auction. All that was left was to find a wife which I did and married Mindy in 2008. The family came in 2011 when we had a daughter and named her Zoey. The farm was a wreck in 2007 and it took a lot of work to get it into working condition but with the help of friends and family it got up and growing. 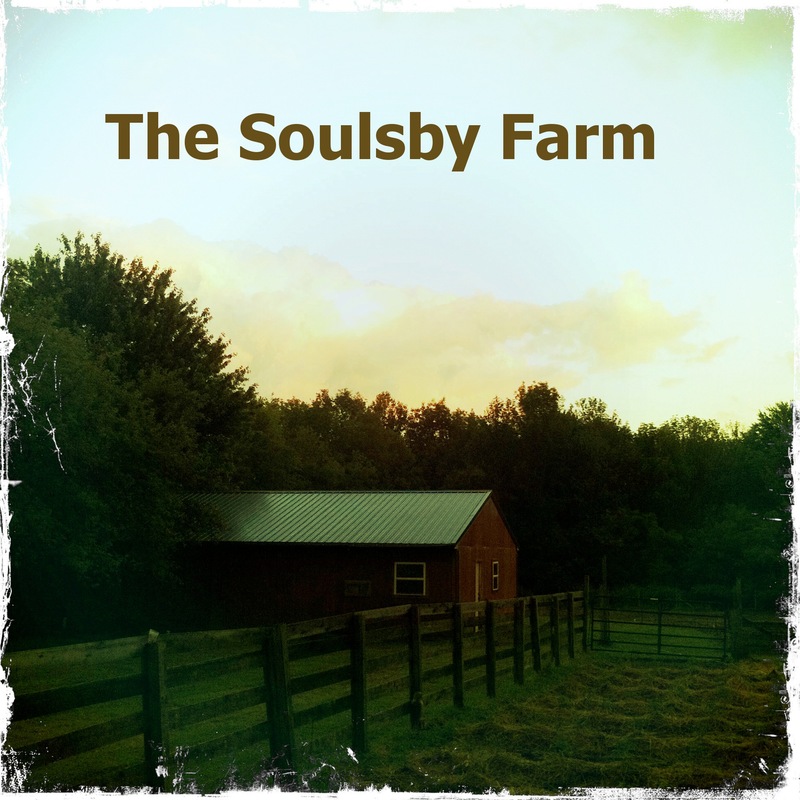 The Soulsby Farm started the way most small farms do…. a dream to get back to the country and grow vegetables and herbs and raise chickens the way nature intended; through a partnership with the earth and a deep respect for animals. We believe in sustainable farming. Everything on the farm is grown through organic means; the farm doesn’t believe in GMO’s (genetically modified organisms) and grows only from heirloom seeds and plants. No chemicals (fertilizers, pest control, etc..) are ever used on the farm. Along with Zoey, we have our little dog Jake. 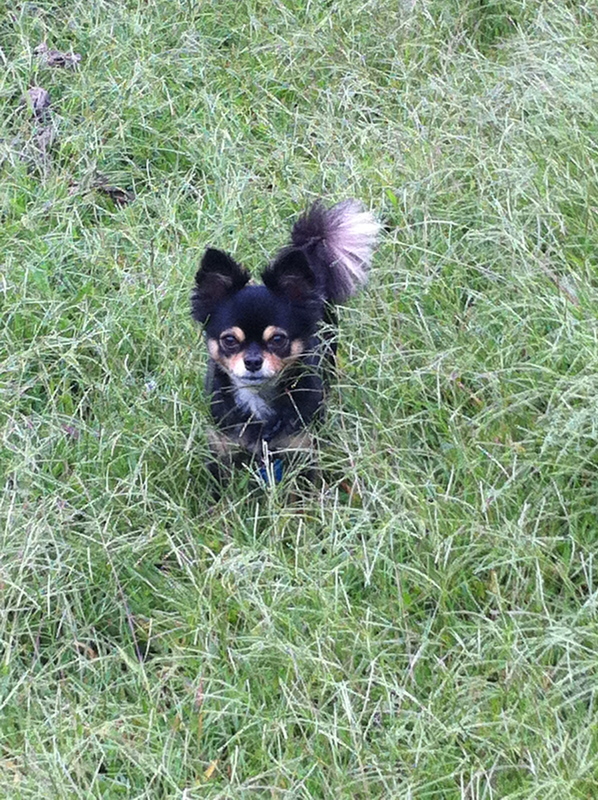 He’s a Chihuahua who protects the garden from deer and rabbits. We have some nice hens that lay eggs every day –and let them free range around the garden (and sometimes the neighbor’s yard) . We grow and can our own vegetables and herbs. I am the planter and Mindy is the harvester and it’s a great team. Together we make sauce and pickles and can and freeze everything we can to make it through the long Ohio winters. Project Garden Share is a non-profit organization established to help feed and educate individuals in need of one of the most precious resources on earth; food. In 2010, 48.8 million Americans lived in food insecure households. We wanted to do something about that. Our program works in a few different ways to suit anyone who would like to be part of it. 1) Share your Harvest – Plant a couple extra rows of vegetables to give to local food banks. We can supply you with a list of food banks that accept fresh produce. We’ll supply you with plants or seeds. 2) Share your Land – We’ll come out and till up an area and plant a garden on your land which you would tend during the season and give the rewards to the local food bank. It doesn’t have to be enormous, even a 4’x8’ garden is a great help. 3) Share your Time – Volunteer when you have time to help tend gardens in the area that are part of the program. We currently have about an acre out back we donate to the Organization that always needs tending. 4) Share you Knowledge – If you’re a gardener who can help educate others we need you! Our goal is to educate individuals in need to learn how to grow their own garden and become more self-sufficient. 5) Share your Land, Knowledge and Time – The tri-fecta! Offer your land to individuals in need (several families have lost their homes due to foreclosure and currently reside in apartments, condos, ect.. with no land). Help these people with your know how on how to plant, grow, harvest and can a harvest. My brother always thought it was funny when I told him my plans and followed through, I guess most people don’t actually do what they say. 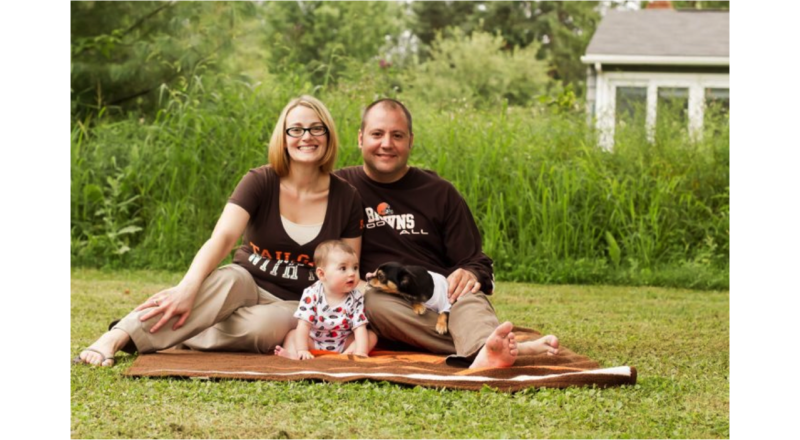 We want to thank Dan and Mindy for sharing their story. For more on Dan, you can check out his credits at: http://www.imdb.com/name/nm1816592/ , and be sure to check out their blog and their non-profit Project Garden Share, at http://soulsbyfarm.wordpress.com/. If you would like to share your “farm” story – drop us an email at info@owgarden.com , and as always, we welcome your comments.